At this writing the timetable for both the river jig bite and the night time trolling bite seem to be off and late just a tad. The water temps are running slightly on the warm side yet and the rainfall although almost normal for this time of year, are also slightly light for the season. But some action is starting both at night and during the day. These fish are what you would expect, with many being smaller males with just a few bigger ones showing up in the sporadic catches. My little fishing internet group had a get together tournament of sorts on the 1st of November, and 14 people fished it for 6 hours. 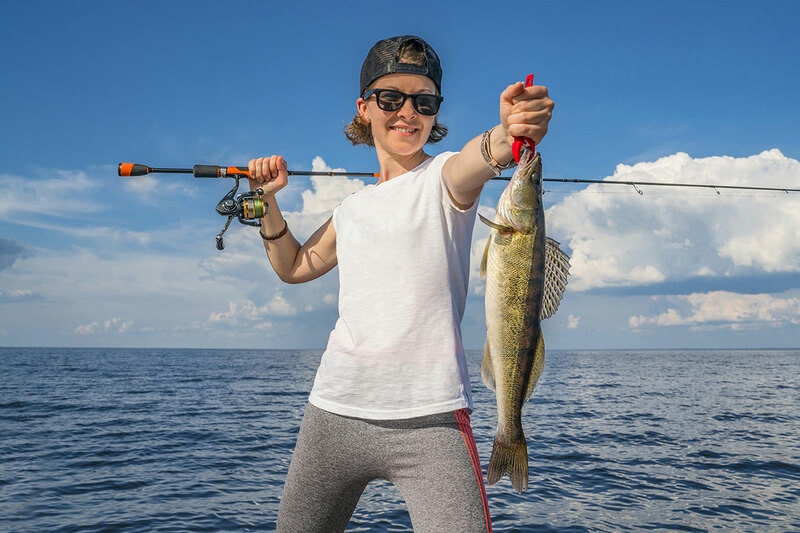 Even though a few walleyes were caught, only 2 of them were legal size, with a 19 1/2 incher being the biggest. There was some other species caught that were very impressive though. I was catching some very nice smallmouths and weighed in a 17 1/2 incher, while others caught some monster flathead catfish. Things can only improve as the river is full of shad and as the month wears on and as the temps get colder things will. I’ve also included some Great Lakes news and a few other things that interested people might find interesting. This phenomena happens a lot to trollers. And the time spent trying to figure out why, at times can be useful. And sometimes others, it is something so miniscule or down right different you’ll never see or notice it, but does make a difference in the total catch. Guys like me who just have to analyze everything good or bad about fishing do have some ideas about this. 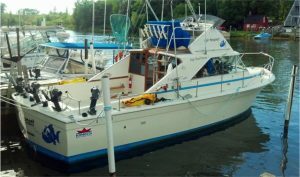 Given the wind and wave directions, one side of the boat will almost always act/pull/haul different then the other side will. Thus the pull on the boards (rather In-line or Mast) will be slightly different from one side to the other. Sometime this subtle difference makes all the difference in the crankbaits action and the fishes response to it. And if and when you turned around and troll the other way, having the same length leads on both sides, that action can be transferred to the opposite side of the boat, and thus duplicate that same exact productive program you had going on the opposite side before you made the turn. Make sense? There now with that all figured out, I’ll go back to figuring out why one lure with the black dot on it’s side is better then the one without it. I personally love a soft/light tip with a quick but medium load action, especially so since I’ve went to no-stretch braided lines. 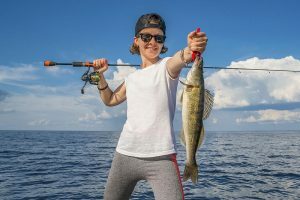 This gives me the leeway to really slam the hooks home with a big hook set action in both shallow waters while vertical jigging, and at the end of long casts, which is usually the type waters and conditions in the rivers I fish. I have used many types of stiff action rods and have pulled way to many jigs out of fish that I feel I should have caught. Now, If I was fishing in some deep/high current waters, like the Detroit, stiffer might be the best way to go. This is only my opinion based on my experience and the way I like to fish. I have/use a (very rare) 6 foot 2 piece G-Loomis that was custom built for me over 20 years ago, that I still cherish for all types of jig fishing. I’ve been teased by some close friends about when I’m going to trade in that Buggy Whip for a real rod. And that the time I spend playing a fish is way to long. I tell them that rod to me is like braille or a walking cane is to a blind man. 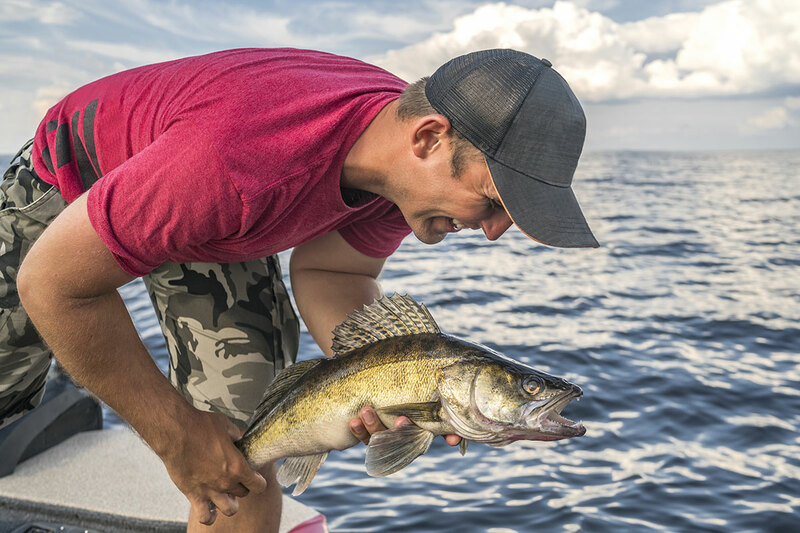 I can discern every type of bottom strata, mentally visualize every hump, stump or depression, and feel when a walleye swims by my line, let alone when they strike it. Me and that rod are one when it’s in my hands. Ya know, I never bothered to figure out any (strike-to hook-up) ratios when using my old buddy G. Loomis. But I’ll bet mine is very close to 100% with this rod. I seen way to many days when others in the same boat would miss hits time and time again. I’d throw in the same spot and nail the fish on the first bump. A lot of this of course has as lot to do with jig size and how good your feeling the fish pick up or engulf the jig. 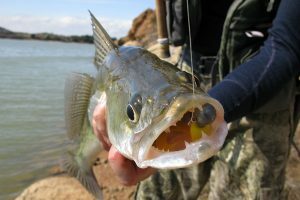 But to a degree a light rod tip allows the fish just that extra small amount of leeway and give from the rod tip to jig. Capt. Dan. Do you ever use plastics for vertical jigging? Early last fall while picking up a few more Northland Mimic Minnow bodies and jigs in the perch flavor, I seen the new (3 inch) Berkley Realistix Minnows in the handy 10 pack. They come packed with 10 separate bodies, with 2 already pre-rigger with color matching 1/8 ounce jig heads in the pack. I’ve been a (Real Live Bait) guy forever when it came to river jig fishing. And Northland was the first artificial I tried the fall before, that had shown me that you can consistently catch fall river walleyes on rubber. And with all the new VHS rules and laws, as well as good live baits scarce availability anymore, having a reliable fall back only makes good sense. So anyway, I picked up a package of the Realistics in the perch pattern along with more mimics. And even though I wouldn’t call this test either scientific or conclusive I jigged with both (side by side) on my next trip to the river that November 10th day last year. I only did so the last 1 1/2 hour before dark, and at a time when the fish were first starting to come into the river. I caught 7 walleyes with only 3 being keepers and the picture is below. 2 of those 3 were on the realistix as was 5 of the 7 total. But the realistics charm also extended to more then just walleyes. These little rascals were killer, dead fished under slip bobbers for both smallies and whites this past spring as well. So when I seen that my local bait emporium had stocked some new colors, I went kinda crazy. I’m not sure this picture can do them justice. That white one with the chartreuse tail, is actually a glow in the dark that I’ll be trying this coming season a few times after dark. And the Green one at the bottom you have to see in real life to believe. Those people at Berkeley seem to have to much experimental time on their hands, and I’m glad they do. Ethics: Webster describes ethics as a system of personal morale values. The standards and principals of what is right or wrong conduct in the scheme of the laws, both man made and natural. This topic alone when applied to hunting or fishing can really ignite some real arguments and anger, but that never stopped me before. “Bow season should be with a simple bow and wooden arrow”. “Compounds are not bows at all”. “Cross bows (especially with scopes) should be illegal”. “Muzzle Loaders when used for hunting, should only be authentic replicas, not these scoped and rifled grooved, 200 yard Bulls eye shooting muzzle loaded snipers rifles”. Need I say more? But because every mans own ethics are initially formed by what he was taught during his own childhood and upbringing. And lastly when he grows up, by his own ideas of fair play and his own principals of what really is right or wrong. Even the law at times bears little weight to change what a man perceives as what is right or wrong once his own adult ethics are formed and set in stone. With that said. I remember watching a stunning In-Fisherman show a long time ago where Al Linder showed some of his very old pictures of both himself and his brother Ron holding up huge stringers of dead bass and walleyes. Most were true trophies. His message and reason for doing this show was two fold. To show that both the times and he himself used to see things different, and that things have changed when it comes to keeping or killing more then you can actually use. Or at least it did for him as he got older and wiser. I found Al’s own younger experience to be much the same as mine was in my younger more (show off) years. But I was taught my first ethics both by a Grandfather and Father, who both went through the great depression, when everything you caught or killed was needed and gratefully used by all the family as the next meal. Possession laws were more liberal, yet broken quit often back then. Not so much out of greed or disregard for the law, but to offset the shrunken grocery allowance forced on everybody by the tough times. So to adjust the ethics, be law abiding and conserve the resource, was hard to change and mentally reconfigure in the minds of people when the monetary times did get better. Of course the resources themselves back then seemed inexhaustible and held out for quit a while under this onslaught, but probably only because there were more of them and fewer users of it. But in today’s world (even though you are legally allowed to have more then your legal one day limit of fish in the freezer) do we really have to store so much fish and game away any more to make sure little Johnny doesn’t go to bed hungry? Obviously not, yet this mentality of catch and/or kill all you can while you can remains the same for a lot of people in today’s world. And with that being said, I worry about all our resources, but especially about our new abundant Saginaw Bay Walleye fishery. And when I hear or read stories like we caught 500 walleyes last summer on my boat, I guess my first question is, what does one do with 1,000 fillets? Or the guys who come here or any other lake from out of town and catch their limit in the morning and then again in the afternoon. And probably do so for the whole weekend they are here. I guess if you have 50 or more friends that trade off fishing with you every weekend, the divided math would works out O. K. But if your throwing out freezer burnt fillets every spring to start over, or supplying every friend, neighbor and relative down the street (who does not even buy a license and contribute to the resource) with fresh fish, your doing more to harm to our resource then helping it. 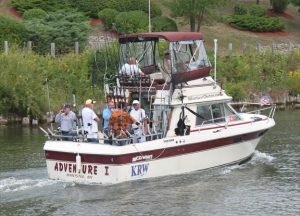 And yes, I personally caught quite a few walleyes this last summer myself on my charters. But I insist we quit catching after the legal limit is reached and head in for the day if we do. And 100% of my clients not only buy licenses that help support the resource, but spend money in our local economy while they’re briefly here. And few of the people I take and send home with limits, seldom even fish again after that one day out. And it’s not my intention here in posting this to beat my own ethical drum and put a hole in anybody else’s. Like I said before, everybody has their own ethics. I’m just reminding everyone (like Al did) to occasionally examine theirs for the good of all and the resource. This subject comes about as close to, and is IMV, in the same realm as talking about politics or religion. Those beliefs to are entrenched and an integral part of whom each person is, what he believes and what he see’s as important. And often just talking about them or stating your own views on them, can both offend, loose you a friend or two, or put others not agreeing with your perspective in a defensive state of mind. And a lot of resource particulars from one place to another can indeed shape or adjust what points I tried to make in my original post. And the laws set for each area by those particular professionals are done so to protect that resource as best it can. It’s often when things get to easy that your ethics truly get tested. Years ago when our smelt runs were massive, you could dip for quit a few nights without hitting the run. Then in one good/right night, fill a 20 quart cooler in one dip. The sheer excitement generated by this bounty after a few nights of failure, and when shared with the many others dipping around you, encouraged you to fill every tub, pale and orifice you brought with you. Then the long trip home, stopping at every bar to see if anybody wanted some free smelt, as you knew you were never going to clean or eat that many. This is the same ethical mind set I worry about and that took over this year by many on the Bay.